Here is a delicious vegetarian pasta which is a perfect pasta for the warm summer nights and quite frankly hearty enough for the winter. It’s a sort of pea pesto , perfect at room temperature or hot . Here’s the thing, Joel has been on a very strict no carb diet for a while now and he would hate this anyway, he wouldn’t ever touch anything this green. He told me it looked like it belonged in the Exorcist movie. Once again, he doesn’t know what he’s missing, his loss but a perfect time for me to make it since he wouldn’t eat it anyway. 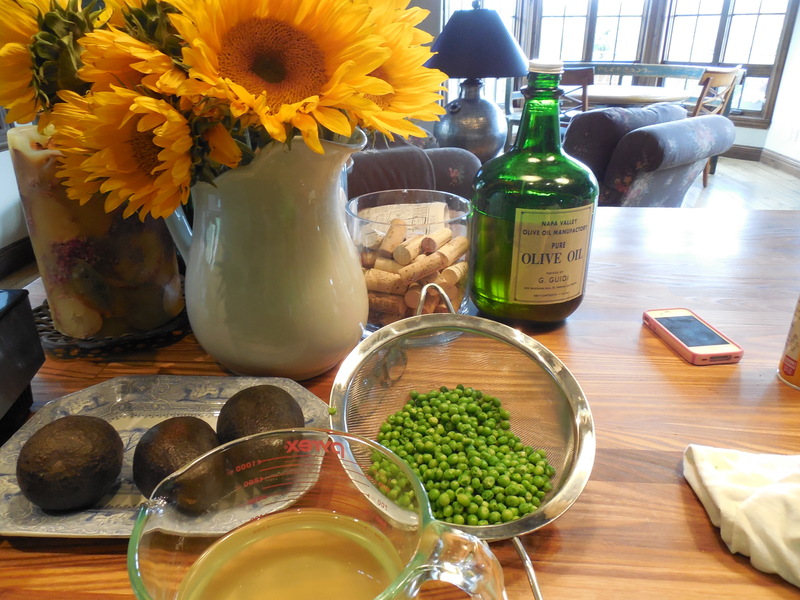 I must say I loved it but you gotta love peas. 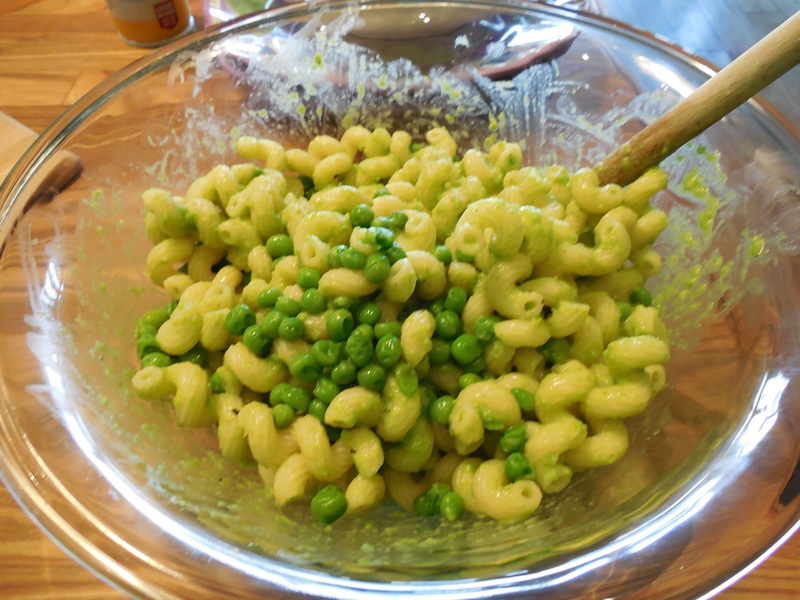 This is also a great dish for kids, they get macaroni which they all love and all the vitamins from the peas. Season liberally with salt and pepper and don’t be stingy with the parmesan cheese. Not a lot of ingredients but all super flavorful. This one is very heart warming and comforting to me somehow. If you’re looking for a new take on basil pesto this could be the new one . I did use 3 tablespoons of butter and I know some of you are wincing but it’s a box of pasta it’s not all going into one individual serving. This can serve 4 -6 as a main dish and probably 8 as a side. All I can say is yum. 10 ounces pasta, I prefer the small shapes for this. Macaroni, fusilli, cavatappi, penne etc. Kosher Salt and Freshly Ground Black Pepper – I would start with 1/4 tsp. kosher salt and a few grinds of the pepper mill. Season according to your own taste. 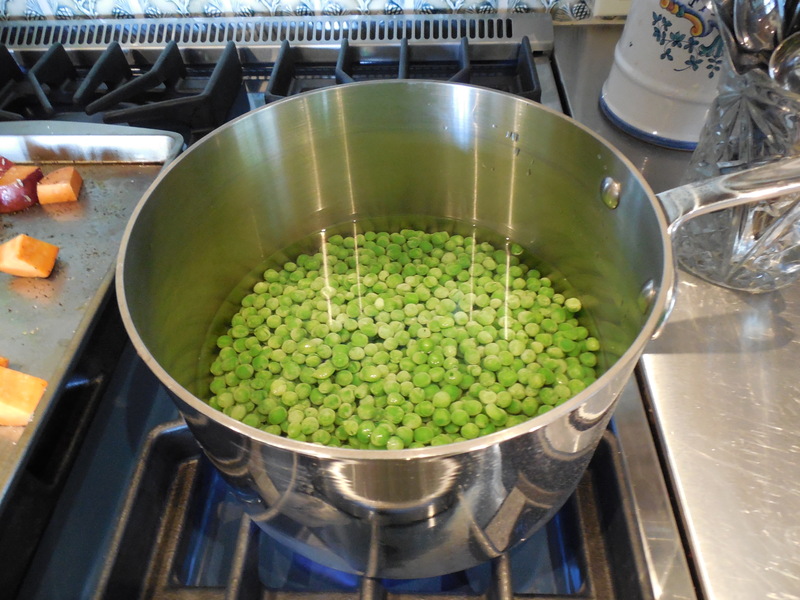 In a saucepan add enough water to just cover the peas, bring to a boil and cook until tender– about 3 minutes should do. Drain the peas–but reserve the cooking water. Cook the pasta according to directions for al dente. Meanwhile melt the butter in a small pan over low heat; add the garlic and cook gently for a few minutes. Remove butter from the heat. 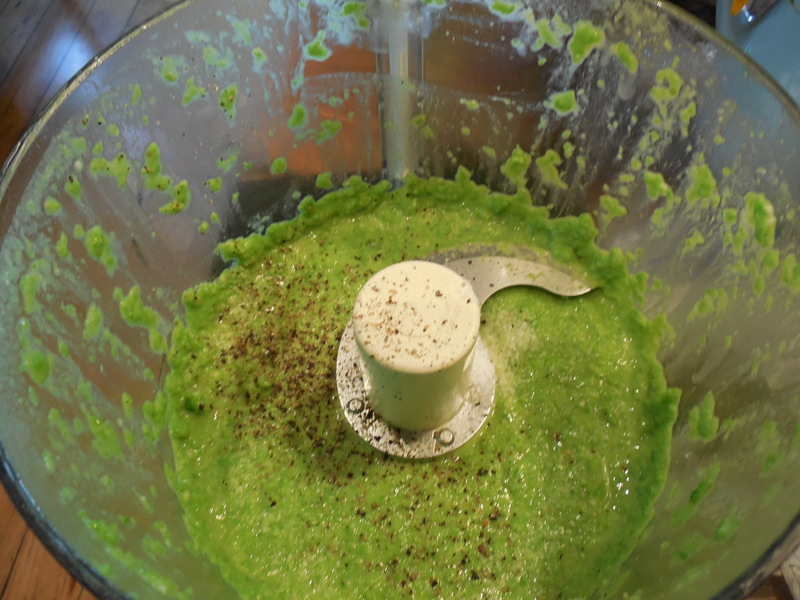 Put half of the cooked peas in a blender or food processor with 6 tablespoons of their cooking water, the butter and garlic, and the 1/4 cup grated cheese. Puree unti smooth, adding more cooking water if necessary. 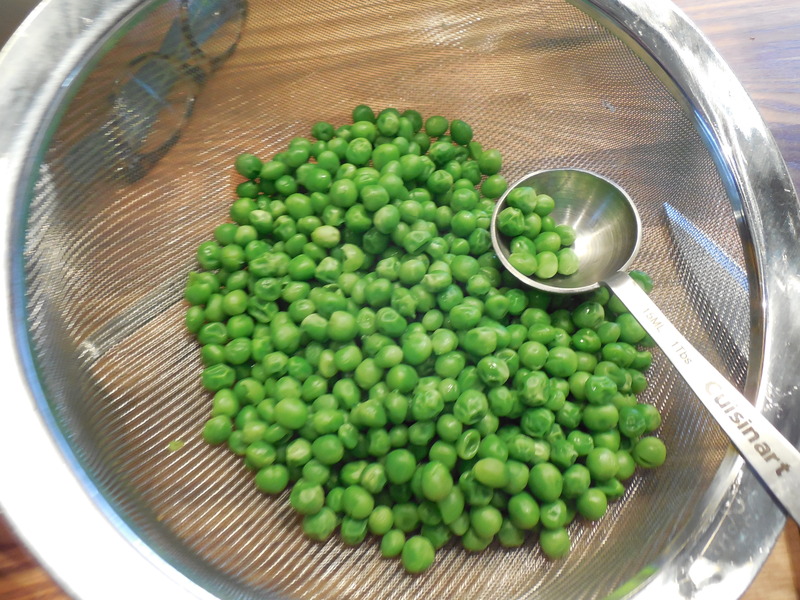 Combine with whole peas that you didn’t puree and season liberally with salt and pepper. As I said I started with 1/4 tsp. of Salt, it was enough for me. I gave pepper mill a few grinds , you will season according to your own taste. Drain the pasta and toss with the pea sauce. Serve with more grated cheese if you like. This entry was posted in pasta, Uncategorized, vegetables, vegetarian and tagged Macaroni and Peas, Peas and Macaroni, vegetarian peas and macaroni. Bookmark the permalink.